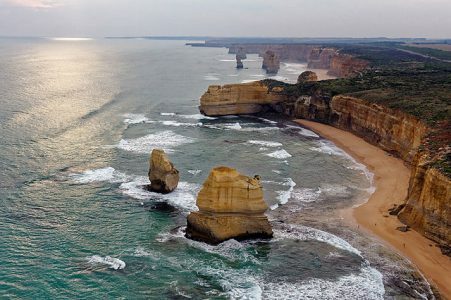 Frequently appearing on top ten lists and renowned for its stunning scenery and the friendliness of its people, Ireland is at once a mythic place, full of wild and beautiful scenery complemented by lively, vibrant, modern towns and cities all easily negotiated by hiring a car rental in Ireland and going for a road trip. Sitting atop the Ireland travel bucket list is Connor Pass in Dingle Peninsula. The Conor Pass is the highest mountain pass in Ireland, at 1,345 feet above sea level. It is on the Dingle Peninsula in southwestern Ireland, and it is located along the road that runs from Dingle on the southern end of the peninsula towards Brandon Bay and Castlegregory. From Dingle Town, the road runs some 4½ miles rising to 1500 ft, as it winds its way to the pass. At the Pass, there is a car park where you are confronted with this magnificent sight. If you carry on further on this road, it winds up towards Brandon Bay past cliffs, a waterfall and lakes. Rent a car from Kerry Airport and set off to lay your eyes on some of the most breathtaking views you will ever see. In Ireland speed limits and road, instances are measured in kilometres. 60 kph (37.3 mph): a “special” limit applied in certain areas such as narrow bridges or outside schools. 100 kph (62.2 mph):for national routes. This only applies in the peninsula to the main N86 Dingle-Tralee road outside of built-up areas. There are a limited number of petrol stations on the peninsula. In particular, it should be noted that there are no fuel stations west of Dingle. Therefore, drivers should ensure that their vehicle has sufficient fuel before beginning a journey. Kerry Airport is the closest airport. It is about 50 minute’s drive away from Dingle, en route you’ll pass some of the most glorious scenery on earth. The tows of Dingle, Kenmare and Killarney are famous tourist attractions, with Count Kerry being known across the globe for its beauty. Saunter along the Inch Beach and the head ontoAnnascaul where Tom Crean’s pub, The South Pole Inn is situated. 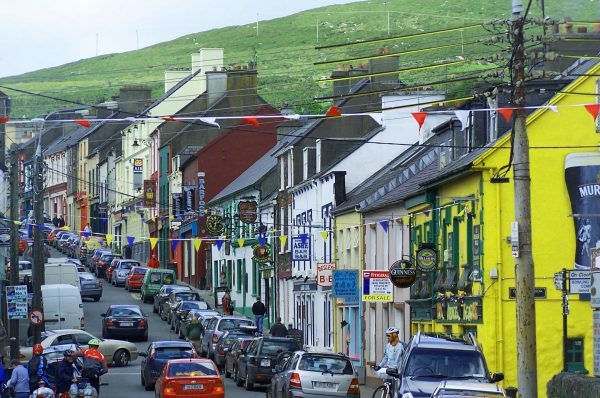 Dingle is a small town with a population of just over 2,000 permanent residents. But its small-town charm acts as a magnet for travellers making tourism along with regional fishing, an important aspect of the economy. Situated in the middle of one of Ireland’s largest “Gaeltacht” regions, it maintains a very unique identity from the rest of Ireland. Engulfed by an extremely relaxed atmosphere, true spirit of this place can be experienced in many of the town’s shops that also double as pubs in the evenings. For the best experience hire a car rental in Ireland. The most scenic way to exit Dingle is the Connor pass. Running between Dingle and Kilmore Cross, this narrow road twists and turns on the north side of the peninsula, where roads fork to Cloghane/Brandon or Castlegregory. 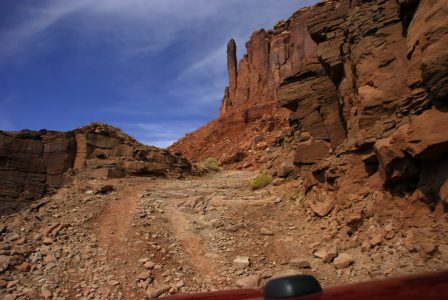 As the road from Dingle advances towards the pass, it rises approximately 1,500 feet. To delight in the glorious views from the coast, stop at the parking lot at the summit; from here you can admire beautiful landscapes even as far as Aran Islands. 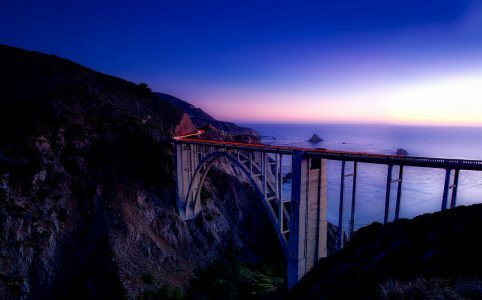 Along the road ahead, you will encounter more cliffs, waterfalls and lakes, while passing the Brandon Bay. With astounding views from the road – a glaciated landscape of mountains and corrie lakes comes – it is considered one of the most beautiful scenic drives in Ireland. The west side is the more popular as it has a dry rock surface while the east side is grassy and requires walking boots. The view from the eastern side is way more spectacular and is quite safe as there is a fence to both guide you and keep you stepping off the steep cliffs of Maughanablaher and Com Loch an Pheidlear as you make your way up the easy incline to Sliabh Mhaca Ré (the Mountain of the Smooth Plain) at 620m. Along the road, you will also come across Brandon Mountain which is Ireland’s second highest peak at 3,217 feet tall. This is a heavy snow prone region so there are chances of being closed during winters if weather conditions are unsuitable. 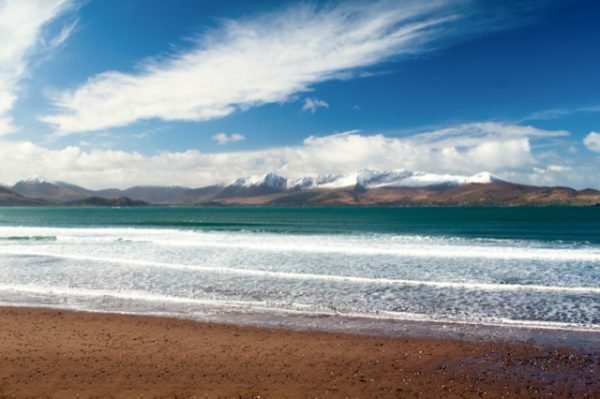 The 10km beach of Castlegregory lies to the north. 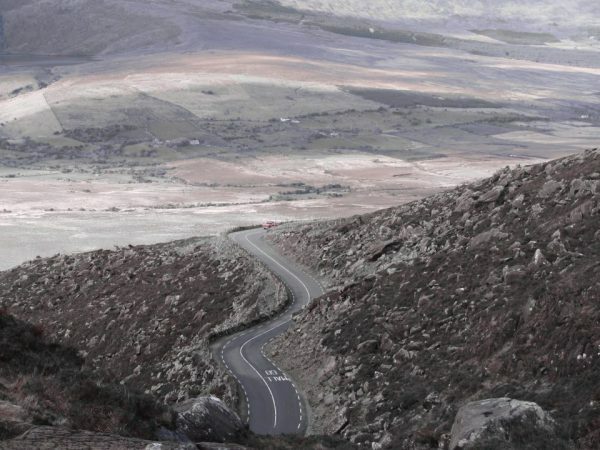 The drive along the entire length of Conor Pass – from Dingle Town towards Brandon Bay and Castlegregory, a village in County Kerry, will take you across the Dingle Peninsula. Castlegregory is a quaint little place bustling with life and the longest beach in Ireland, lakes, forests, islands, rivers and breathtaking scenery. At 25.4 km from Castlegregory, Tralee is a 24-minute drive. 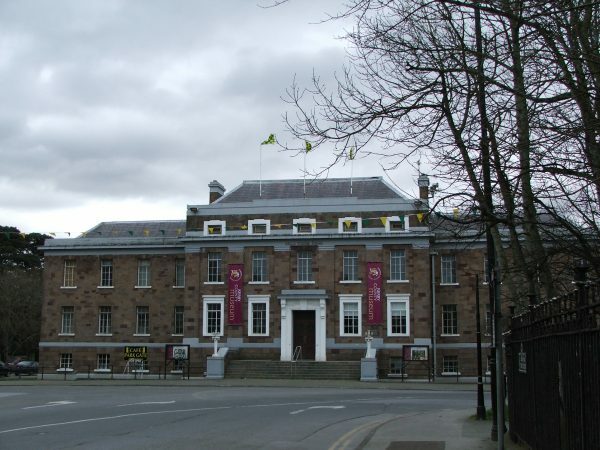 The largest county town of County Kerry Tralee lies in the south-west of Ireland. Located on the northern side of the neck of the Dingle Peninsula, Tralee is a worth a stop with its great museum and a wetlands centre. 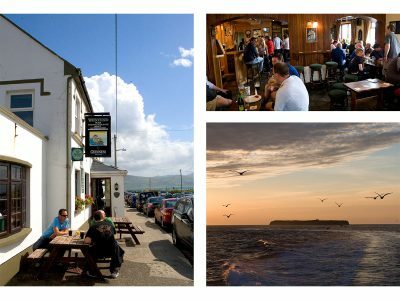 A drink and some proper Irish pub grub is a grand way to finish off your Dingle Peninsula tour. 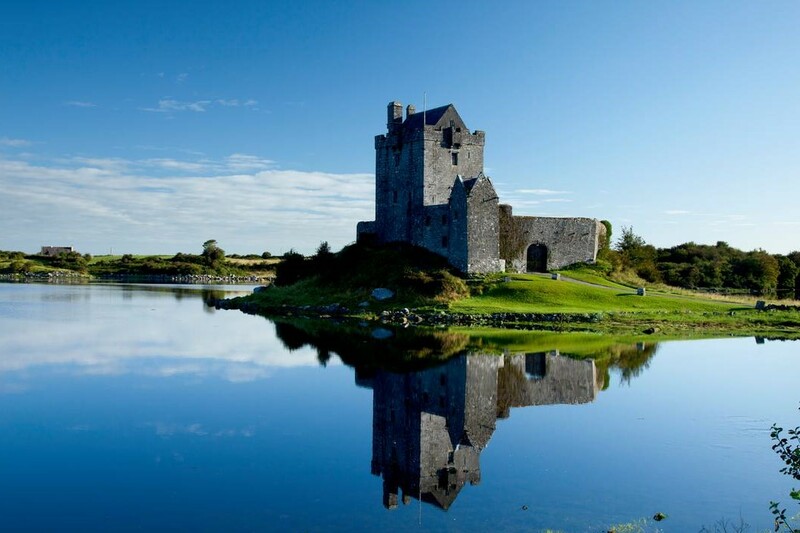 From Tralee, you can head back to Kerry Airport to culminate your trip full of spectacular views and plenty of Irish history. The Dingle Harbour Lodge often described as “The Perfect Location” is a 5-minute stroll along Dingle’s prestigious seafront to all of the town’s amenities. The Yacht Marina is directly across the road, which is an ideal area for a short leisurely walk, or perhaps some water activities such as kayaking or visiting “Fungi” The Dingle Dolphin. Also within walking distance along the seafront; Dingle Oceanworld Aquarium, Shops, Award Winning Restaurants and Traditional Pubs. Duinin house is situated on the Conor Pass Road about 1 Km. from the centre of Dingle. They are about a 3-minute drive from the Conor Pass, Ireland’s highest mountain Pass. The views from the Pass are spectacular (Conor Pass Views). 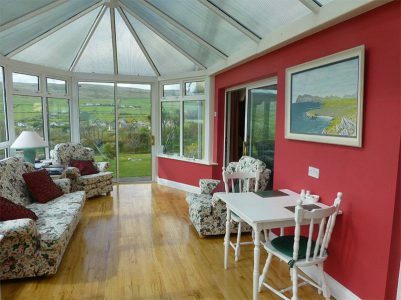 Duinin House overlooks Dingle town and harbour and is directly opposite the townland of Hollywood or, in Gaelic, Cuilleannach. 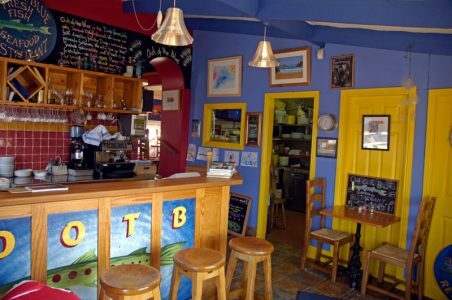 The restaurants and bars of Dingle town are a 2-minute drive way. Atlantic Waves is a luxurious, spacious, 4 Star cottage on sea-front, approved by the Irish Tourist Board. All rooms are tastefully decorated to a very high standard. There are outstanding sea views overlooking Brandon Bay and miles of sandy beaches. 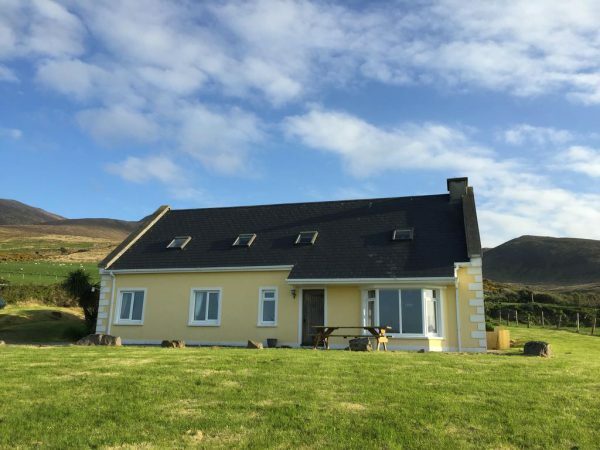 Atlantic Waves is located 30 km West of Tralee Town on the Conor Pass road to Dingle. This is a paradise for windsurfers and anglers especially idea for bass fishing off the coastline of Brandon Bay. Located seven miles from Tralee town on the Atlantic coastline and fabled to be the first starting point of Saint Brendan the navigater, the West End Bar & Restaurant overlooks Tralee bay and is sheltered by the Slieve Mise mountains to the south and Brandon Head to the west. The West End is a fifth-generation public house located in the picturesque village of Fenit, a small fishing port with a busy marina. Their restaurant on the pier gates sources only the very best of locally caught fish. They serve Black Sole, Scallops, Cod, Salmon, Kerry Head Lobster, Oysters… to name but a few, depending on the season. Their local butcher sources the best meat from Kerry pastures including Steaks, Lamb and Duck. During the summer season a value bar menu is available, featuring Smoked Salmon, Catch of the Day and a half pound Home Made Burgers with Bryans mothers secret recipe. Out Of The Blue is strictly for seafood lovers. 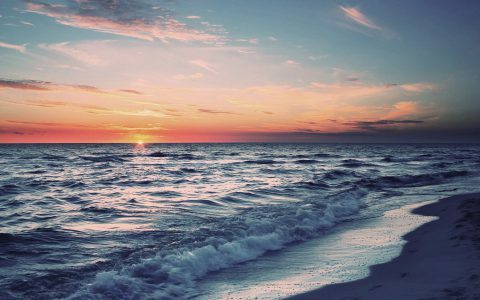 Everything depends upon the catch of the day and nothing but the best will do. If there’s no fish, the restaurant doesn’t open. The menu, given on blackboards, changes every day offering a huge variety of whatever is available from the boats that morning. Anyone who is lucky enough to get a table in this small casual restaurant can expect seriously delicious seafood cookery. A family-run restaurant, that sources only the finest local produce and creates menus to reflect what is in season. Beara Peninsula scallops with Castlegregory chorizo, Dingle vodka–marinated hake, and butter bean cassoulet with hazelnut-crusted Toons Bridge halloumi are just the tip of an iceberg. 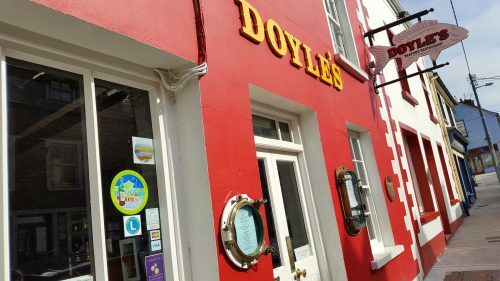 A multi-award-winning restaurant located on John Street in Dingle town, Doyle’s creates an array of modern dishes with a combination of robust and integral flavours. Doyle’s Seafood Restaurant endeavors to serve great food in a relaxed and friendly setting and continue to maintain a strong commitment to the sourcing of sustainable seafood, working very closely with the local suppliers to serve the best of local and seasonal produce. 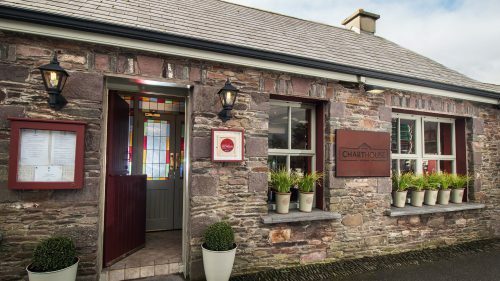 Their specialities include Dingle bay crab claws, salt and pepper squid, provencale mussels, seafood linguine, roasted salmon fillet, to name just a few. 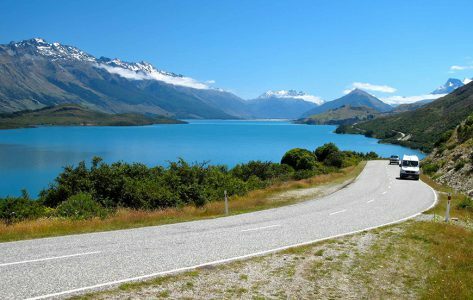 Book a car rental in Ireland here.